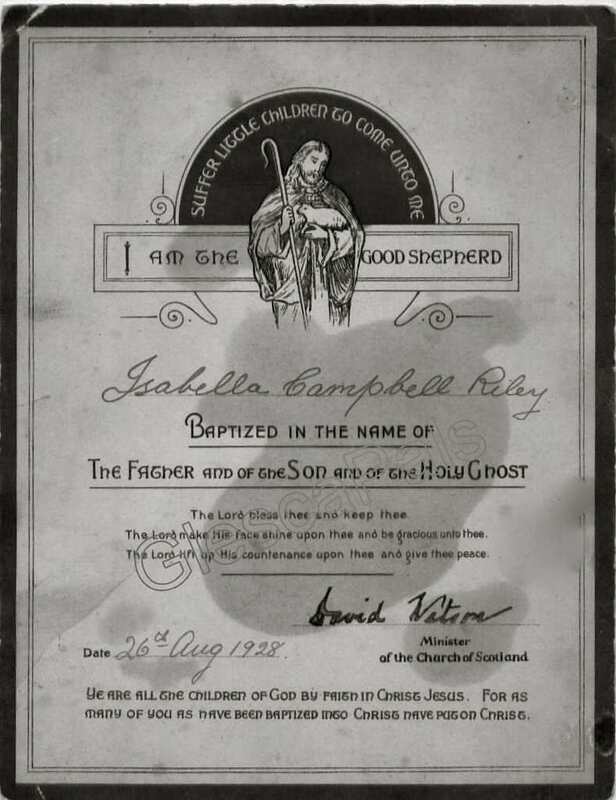 What a wonderful find this is .... Bridgeton born Isabella Campbell Riley's church records. I just noticed those beautiful Christening cards there, and how pleased you were to see them. 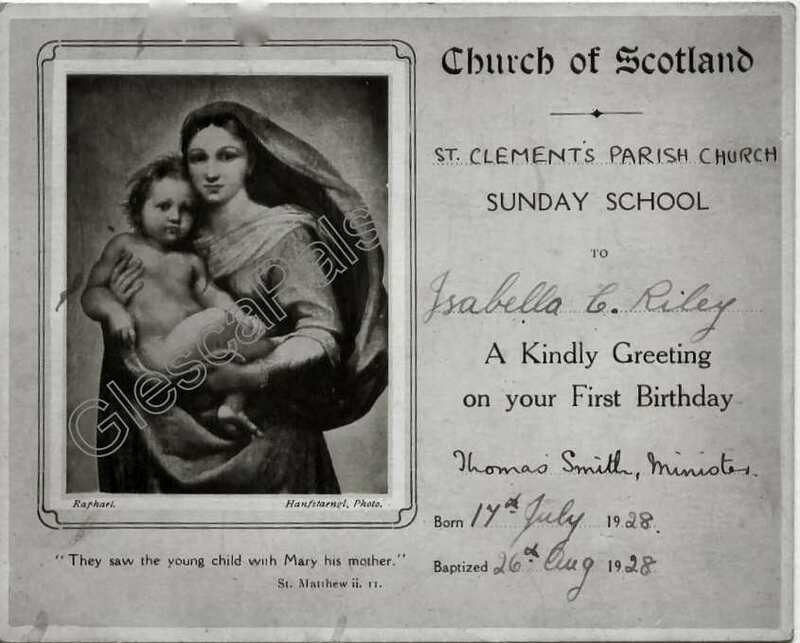 I have my Mother's Christening cards from St Clements Parish Church. Gran kept them all those years, my Mother was born in 1928. 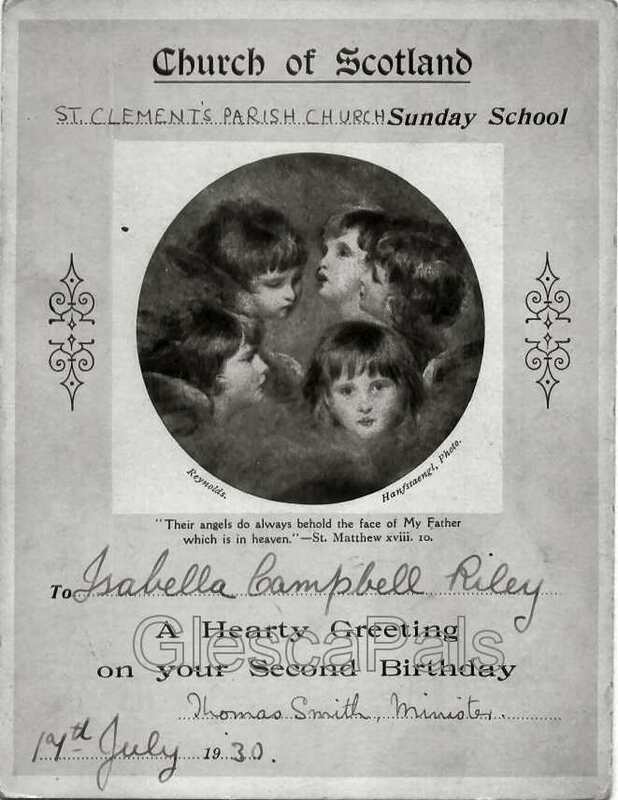 There is a Christening Card and Birthday Cards from the Church each year for about five years or so. I always mean to get all those things scanned and send them to you, however I realise how busy the site keeps you. When I saw how delighted you were to see the cards I wondered if you would like to see them. There are loads of things in Gran's box, I'm sure she would have liked to pass them on for the interest of others. Her family must have lived in Rogart Street Bridgeton from around 1900, she only passed away about seven years ago, living until she was almost 96 years old. She loved Bridgeton with all her heart. Me too. There is something which holds your heart in that place. The nicest kindest folks live in Bridgeton and the funniest. Take Care Jan.